(Core Setup is the same as last year – ALO Audio Studio 6 and a combination of the NuPrime DAC-10 or the Continental Dual Mono for DAC duties, source material was 320k MP3, FLAC, DSD64 and DSD128 via JRiver Media Player/ASIO and Foobar WASAPI Push). 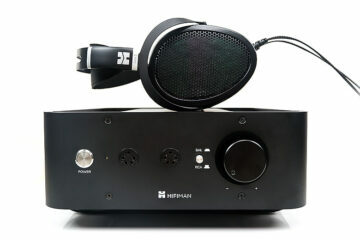 Out of the box, the HE1000 V2 needs around 200 hours burn-in to sound optimal. It sounded way off what I was expecting on the first hour with a sharper sibilant character, a softer bass that didn’t seem to extend as well as the V1, and an initial system setup that previously I loved with the V1 but here it just didn’t gel at all. Fast forward a week of solid burn in and things changed quite dramatically and for the better. The Sabre DAC and tube setup sounded much more favorable (though I still prefer the tonal signature of the CDM as my DAC), sibilant trails were gone, and the bass was much tighter with stellar extension and impact. Personally, I am rather agnostic on the effects of burn in and treat each on a case by case basis, some change, some do not. In the case of the HE1000 V2 the core tonality doesn’t actually change for me, but rather it tightened up across the entire frequency response turning something a little bit loose into a presentation that is far more controlled and precise. Tonally, the new V2 is a more energetic and intimate signature than the slightly laid back and darker V1. The soundstage has marginally narrowed in comparison to the V1 but on the flipside, the presentation is more involving. Imaging on the V2 is more precise and a lot more focused sucking you right in. This is a much more attention grabbing presentation overall. A word of warning. Do not assess the bass performance between the V1 and V2 out of the box. Get that burn in and get it up to 200 hours. Do not cut any corners and call it a day at 100 hours or something similar. Out of the box, the V2 bass falls short of expectation compared to the V1, sounding a little soft and lacking in extension and body. On the V1 the sub-bass extension is world class but overall a linear, non-elevated mid-bass performance that lacks a little in slam. Those looking for bite, or something more visceral and migrating from say the HE6 might be left a little wanting in that respect. The V2 bass after 200 hours still has that same excellent sub-bass extension but with additional power and presence. Whilst I would classify the presentation as still reasonably linear it does now have a tighter, more impactful response than the more stand-offish V1 low end. Sub-bass to bass frequency response will has that little upwards turn sub-30Hz that imbues the V2 with a tremendous sense of power and depth but this time the control on the low end both in attack and decay is a touch tighter, a smidgen faster and more incisive. There is now a slight bias on a quicker attack and a shorter sustain on the V2. Combined with a general lift in efficiency and gain the V2 now produces a livelier, almost tactile bass presentation that I think works a lot better now with hard rock, metal, and EDM but still offers the subtlety required for more nuanced arrangements. I am really impressed with the midrange tweaking on the V2. In my previous review, I described the V1 as not exactly being recessed but neither being that forward with a minor dip around 1k perhaps taking a bit of energy out of an otherwise very natural and detailed performance. With the V2 mid-range, the new word here is vivid. There is a tangible elevation in the midrange frequency, particularly around the 1-3k marker where the old V1 seems to lack a little energy in that respect. It now actually makes the V1 sound recessed in comparison. Layering and instrumental separation are also superior on the new V2. Guitar and bass work has excellent body and increased bite with the cleaner attack biased nature of the V2. That perceptibly quicker pace and tighter control on the new HE1000 does not get lost with the more forward midrange response. Whilst vocals on the new V2 have not been dramatically adjusted in terms of positioning in relation to the rest of the midrange it does benefit immeasurably from the overall mid-range boost. They are indeed more forward, cleaner and energetic sounding than the older V1. I will say though that the slightly brighter and more energetic quality of the midrange does make the V2 slightly less forgiving of recordings with more sibilant vocal tracks both male and female. A really nice example of how the two headphones differ in delivering vocals is Five Finger Death Punch’s “Diary of Deadman” around 45 seconds into the track you have a short low to medium pitch spoken monolog from Ivan Moody which last for about 30 seconds and overlaying a slow-paced percussion and guitar sequence. You can tell Moody is pretty close up with perhaps only a pop filter between him and the mic. On the old V1 it sounds pretty good actually with a nice natural flow, little if any sibilance to it but overall a fairly neutral presentation. On the V2 the vocal monolog is closer, more revealing and better at coping with any nuanced detail in Moody’s vocal style. Yet at the same time, the attack is a tiny bit sharper on the V2 resulting in a slightly harder quality to Moody’s vocals in comparison to the V1’s slightly softer and darker approach. It is basically a trade off in some respects; incredible detail and fantastic clarity but much less forgiving versus a darker, softer but more forgiving tonal contrast. The V1’s treble performance was a challenging one for me because it ultimately came down to system setup and genre preference in terms of how to overcome some of its inconsistencies and that 7k peak. Matched well (tubes, WM8741 CDM DAC and balanced) it was articulate, detailed and with plenty of extension. With a poor match and very energetic music it could get peaky at times sounding less natural and less forgiving. Sting was in, Metallica was out to put it crudely. The V2 treble performance presents somewhat similar challenges but with a slightly different tonal quality and more coherent sounding. Surprisingly, rather than push back the treble on the V2 and perhaps lower that peak, Hifiman have given the entire treble performance a push forward whilst at the same time plateauing the 5-7k a bit more to even out that peak and bring in some energy just below it also. Percussion and cymbal work, in particular, have much better snap and an increased presence over the V1 slightly more subdued delivery. There is now a lot more sparkle and verve in the top end of the V2 compared to the V1 yet it does not sound as uneven offering more flexibility on genre selection as a result. Is it more fatiguing though because of this more forward top end presentation? It can be but it will come down to how you match things up and how much time you allow for burn in and most likely your own personal preferences. Out of the box, you may end up diving back to the relative safety of the darker more subdued V1 treble performance. My initial impression of the V2 was that it came across as splashy, hot and bright with high energy percussion attacks and floating synth. It lacked the control of a well-worn V1 in comparison and would frankly tire anyone out. After burn in the V2 treble is still more forward sounding but the control levels increase dramatically. Gone is the splashiness which is now replaced by a cleaner and more refined top end. Pair the V2 with a good set of tubes, a warm SS, and a musical DAC and you should find yourself with a far more coherent treble presentation than the V1. As per the V1, the V2 requires a carefully considered matchup. Yes, absolutely it can sound reasonably good out of humble sources and amps and it will not fall apart like the HE-6 if underpowered and yes it can scale wonderfully the better the amp and DAC you throw at it. The challenge with the V2 is all about synergy and to some extent your own tonal preferences. I remember writing about the original V1 and Fang had stated that the EF1000 amp would go some way to resolving the issue of which was the best amp to pair with the new flagship but as of writing one year later this amp has yet to hit the market so my options are reasonably similar to last year and thankfully the answer is also the same. The V2 is also more audible at similar gain and volume levels to the V1 despite having the same sensitivity rating of 90dB. Side by side you will find there is a certain amount of volume matching to get the V1 up to the same level and even then, the dynamic qualities of the V1 are still not quite as impressive as the V2. They are the same driver so at some level the more forward signature created by these tweaks is yielding a perceptible impression of the V2 being slightly more efficient whether that is true or not. Given its more energetic and vibrant personality over the HE1000 V1 I actually found a combination of slightly warmer amps and smooth analytical or slightly musical sounding DAC’s to produce the right synergy with the HE1000 V2. Going balanced will provide an additional benefit in terms of control and dynamics but even in unbalanced mode, the Studio 6 amp from ALO Audio sounded slightly superior to the Mjolnir balanced amp. The slightly more aggressive tonality of the Mjolnir in balanced has superb control but compared to the more relaxed presentation of the Studio 6 tube setup I found the Mjolnir to be the more fatiguing of the two the longer the listening session became. Whereas with the V1 this additional bite from the Schiit setup might have been welcoming the new V2 doesn’t need to be cajoled as much. The impact and bite are already there. Other cheaper amps such as the Stoner Acoustics EGA sounded excellent also but not as resolving as the richer sounding unbalanced Studio 6 and not as dynamic as the balanced Mjolnir. Once again, I was impressed by the control and coherence and accuracy of the Cypher Labs Sustain84 tube amp when paired with the HE1000. It may not have the overall power of the Studio 6 but it has fantastic timbre for a quarter of the price. Portable amps such as the Bakoon HPA-01M combined with a warm source in current mode will cope slightly better with the V2 over the older V1. Not that the V1 struggled with the HPA-01M rather that the V2’s slightly better efficiency and its more forward signature seems to gel better with the Bakoon’s electric pace. I still believe the Bakoon HPA-01M is the best portable amp for planars to this day even if stacking is not as popular as it used to be. A competitive but slightly less powerful portable option is the Chord Mojo. It is a more musical DAC/Amp output combined which makes a very commendable pairing with the V2. It does not quite have the same raw power of the Bakoon but the detail from its DAC is excellent as well as producing a smooth tonal performance. It is a pity the Mojo does not have a line out though. Combined with the Bakoon it might well be the perfect portable setup for the HE1000 V2. As before, the choice of DAC, particularly in combination with your choice of amp, will be a factor in the V2 system synergy. Harder or cooler sounding analytical DACs using Sabre chips need to be right on the money and very well filtered indeed or they will trip up the delicate balance between overly bright and revealing on the V2 treble. That lower treble energy of the V2 is right on the money, tip it too far and it will start to sound a little unnatural for me. This is particularly so if you intend to get stuck right into listening out of the box when the V2 is at its loosest. The NuPrime DAC-10 (ES9018) and Studio 6 pairing produced an overly sharp and splashy signature that did not play out well. 200 hours later and the same combination is much more controlled, with unbelievable detail, extension as well as producing a quality level of low-end impact. I still personally prefer the Continental Dual Mono paired with the Studio 6, especially if you are going to be using tracks that push hard on the lower treble. The CDM is a more laid back DAC (WM8741) than the DAC-10, slightly less resolving but richer and smoother tonally. They make for a potent combination with a richer midrange and a more inviting natural timbre suitable for rock and metal and surprisingly, Synthwave and the older 80’s New Romantic genres where those higher pitched synth tones can push treble performances to the limit. The HE1000 V2 is still king of the planars with a fresh vibrant twist on the original sound signature of the old V1. The physical modifications have made it lighter, more comfortable and better balanced to wear as well as an upgrade on the stock materials and cables that come with it. Tonally, it takes stock of the feedback from many users and moves away from the darker tonality of the V1 and offers something different. This is a more intimate presentation, but also a more dynamic and aggressive stance with excellent control and finally some impact. Yet it never forgets its roots. The detail is just as good, the extension is still world class and the speed is as good if not better. 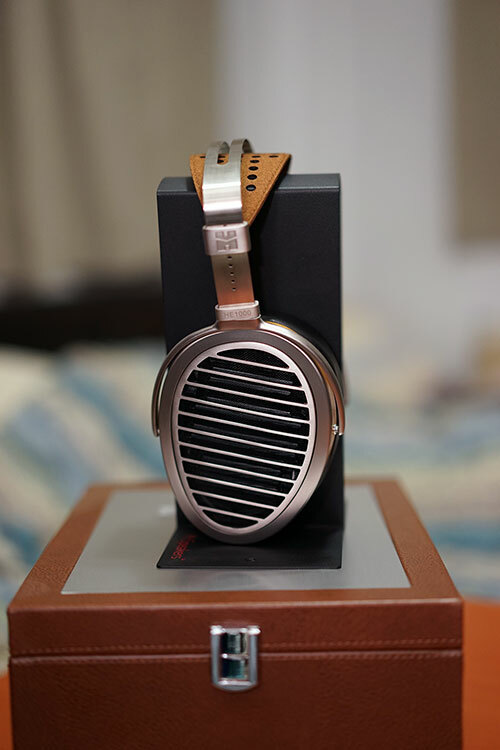 The house sound has been tweaked for sure, but it still retains much of what made the HE1000 our headphone of the year for 2015. Will people migrate though? That’s a valid question. Those who are deeply endeared to the darker slightly softer sound of the original V1 may wish to hold onto their beloved and try before you buy and get that burn in done. At this level, even minor tweaks will necessitate a considered response by loyal fans and reviewers alike. Out of the box no, after 200 hours a certain yes. 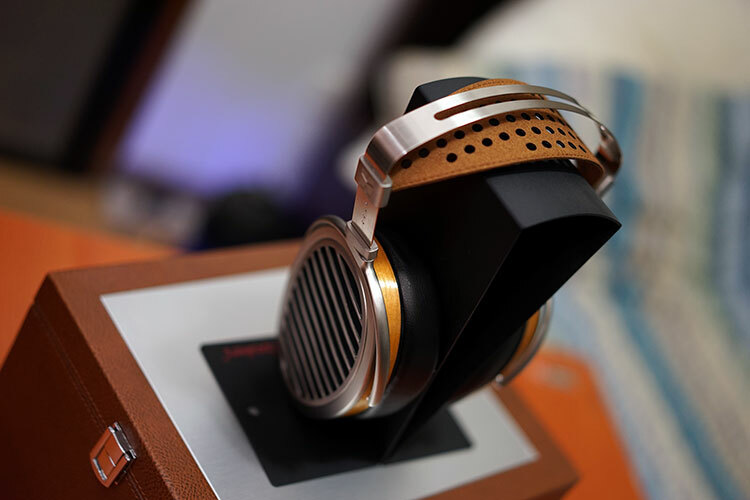 It is good to see Hifiman take note of user feedback and integrate as much as they can into the V2, it keeps it competitive and at the top table of planar flagships for a while yet. It is tempting to think at this rate there will be a V3 next year, I kind of hope not to be honest. Let this one take hold, let it become a “classic” as it does deserve that accolade in many respects. There are plenty of numbers beyond and below 1000 to play with for 2017/2018 in the meantime. Marcus: I was an avid headphone listener for two decades (1980-2001), my first set being (if I recall correctly) the Audio-Technica ATH-7’s? (circa 1981-4), followed by a few Sennheiser’s, 701-AKG’s (1997) where-by at the turn of the century, those same 701’s poorly fitting 701 headband had me continuously frustrated whereby I gave up headphone listening. Until this year at TAVES 2017 when I heard the impressive Hifiman 400i’s -a clear improvement over the open/detailed 400S that proved far too treble-centric that I first heard only a few weeks prior. A show special sealed the (400i’s) deal and represented my first headphone purchase in the 21-st century (lol -but true). It took several weeks for me to get around to slapping them (actually baby-gently placing) on my noggin. (WORDS to the wise, Break-In: HFM states 150-hours. Believe it). The 400i is simply a tremendously resolving, nuanced, engaging and accurately balanced performer -and this via a standard ‘headphone socket’. (I await the Emotiva A-100 (basX) for headphone amp duties). It is also brilliantly designed/engineered, culminating in a fine, comfortable and secure fit. 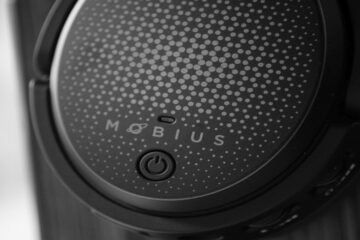 Great sound, comfort and value; a superb (mid-priced) headphone. Anyone contemplating the purchase of more expensive cans would be wise to consider the exemplary 400i’s. The HE-1K V2 must elevate resolution and finesse to another level altogether, as it should considering the price discrepancy. Back in the day (lol), I was the odd man out as most of my contemporaries had no use for headphones. My how time can do a 180 -and then some. I’ve never seen such a wide range of offerings. And price points. Remember (readers/audiophiles/music lovers); accuracy, transparency and finesse is what high-end performance should be. At elevated price points, settle (expect) nothing less. 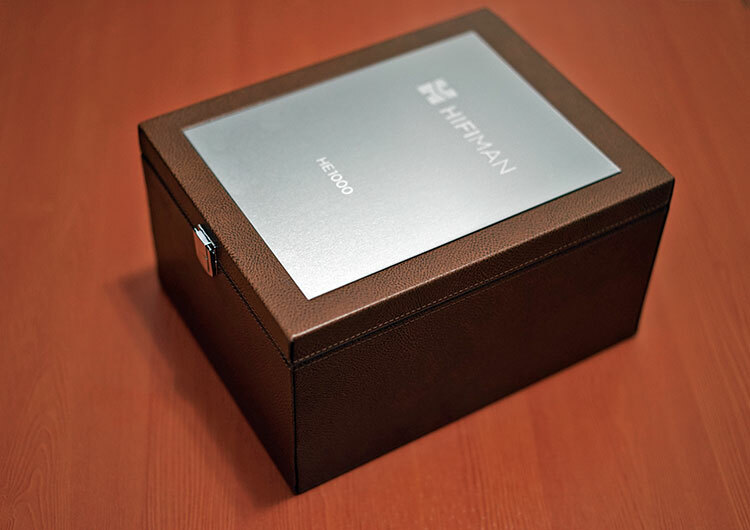 (Use the Hifiman 400i as your reasonably-priced reference).